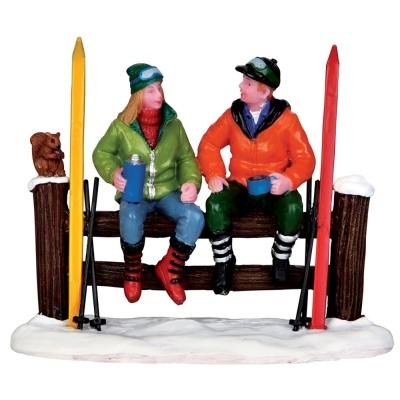 Lemax Cross-Country Coffee Break multi figurine miniature accessory on a single base depicts a young couple resting a while for hot drinks during a cross country ski outing (squirrel watches on). Cross-Country Coffee Break is a Winter scene addition on a snowed base suited for placement in a Lemax miniatures display. A recent addition to the Lemax catalogue joining the Lemax Vail Village collection in 2013. 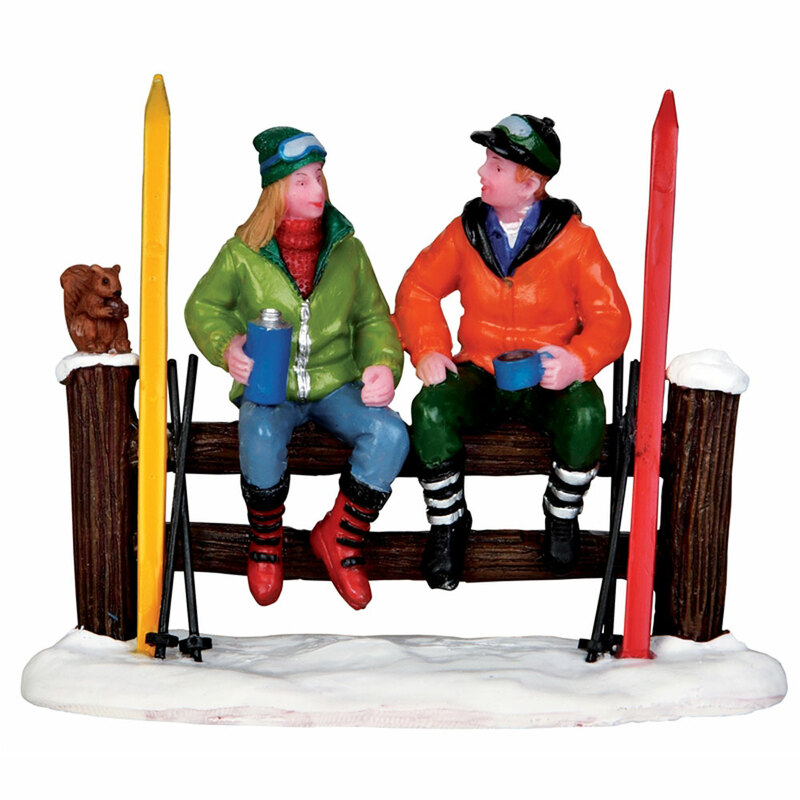 Individual hand painted polyresin piece mounted on a single snowed base to compliment your seasonal Winter Village display.